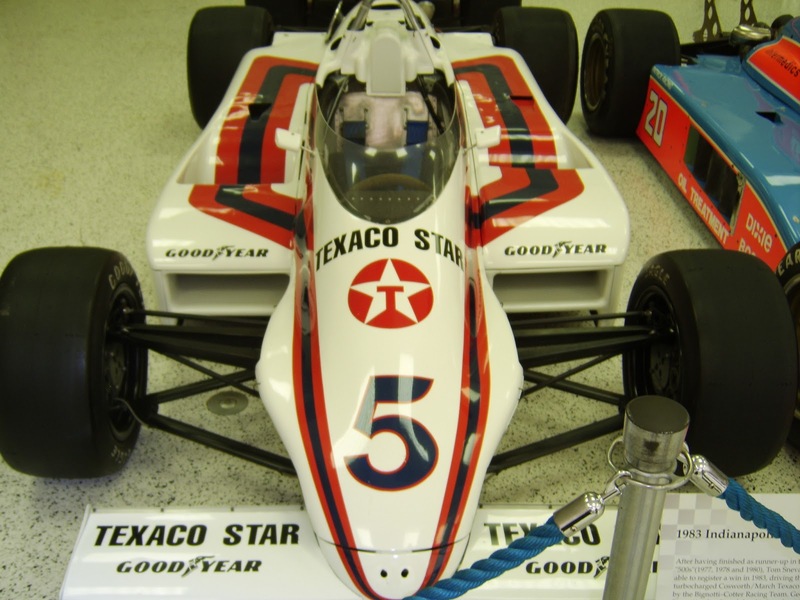 For Indy’s second and final Centennial 500, the Indianapolis Motor Speedway’s Hall of Fame museum had a veritable Treasure Trove of Indy 500 winners on hand; Err, display... 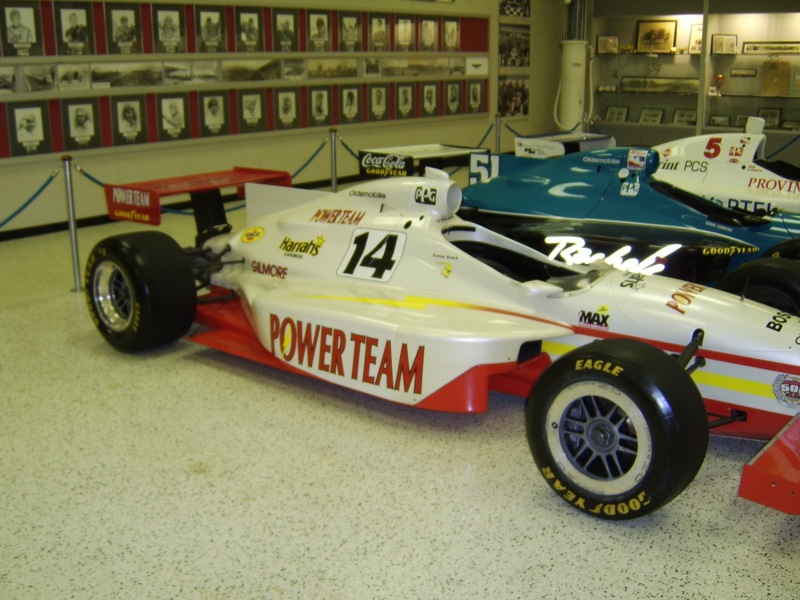 Yet, as we made our visit the day after the B-I-G race, I was somewhat ‘Bummed to discover that ALL of the Penske Racing I500 chassis had been removed from the museum for a Team Penske Photo-shoot at an undisclosed location... As the absence of 15 winning Racecars, many emblazoned in the storied ‘BAD HABITS red & white livery of Marlboro (“Smokey Smokes”) made for a substantially devoid display, as the museum simply looked somewhat disingenuous with the multiple gaps of empty spaces between the various rows of Indy “Greats” on hand. And Juan ‘O the troubles of not jotting down your memories immediately, is that by the time you get ‘round to scribbling them some seven months later is... Yuhs guessed IT! They’re gone; URGH! 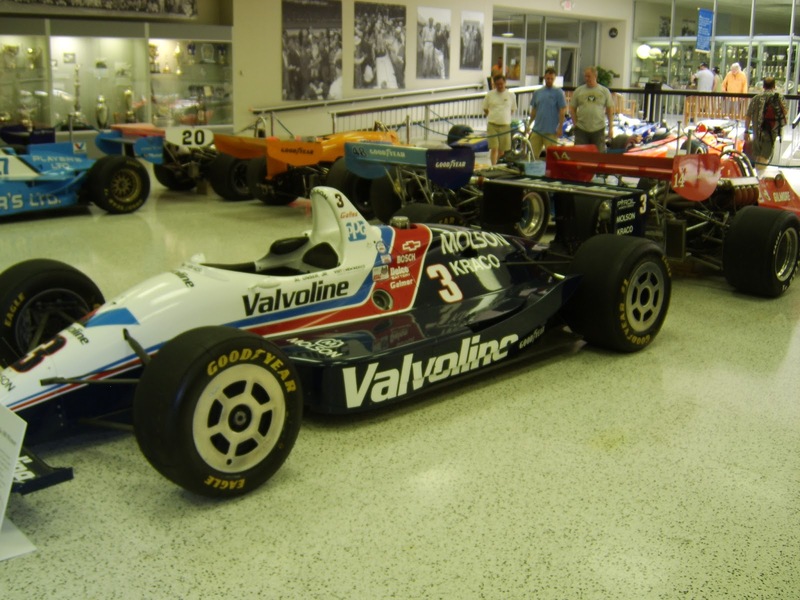 Although I still recall enjoying the day’s outing as always at the Hall of Fame museum; where every time I attend, I become more ‘N more impressed with their staff! As I take it for granted now that the ‘Yellow-shirts will automatically open the doors for Mwah. Along with my two most recent visits - where I’ve been granted “FREE” Admittance, along with asking me if I have any questions? (Pertaining to specific racecars) But the part (Piece de la Resistance) that really BOWLED me over was the “Docent” coming up to me and specifically saying if there were any cars I wanted to touch - as long as they belonged to the museum; he’d be glad to assist me in this endeavour; HOLY BLINDFOLDS BATMAN! 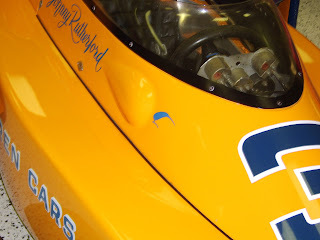 And the whole confusion over the two VJM Colt-Fords’s led me onto a whole nuther ‘lather - pickle via la ‘Interwoods, or what Grizzled ‘Journoe Joe Saward just coined as the WZ... Over a previously never heard of before ’68 Johnny Lightning Special; Hmm? But I’ll save that story for another day instead, (since its fermenting in the NoFendersville story hopper right now) and hence back to the Memorybanks instead, with just a few assorted ‘Tails below. 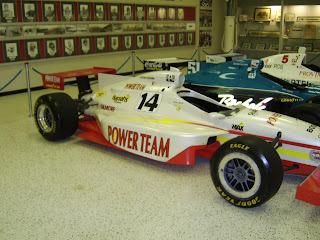 This is the car that made ‘lil Al (Al Unser Jr.) famous... Whale, sorta, as I think he actually bolted to national prominence back in ’89 when he gave ‘EMMO his double thumbs UP gesture to the race winning Brazilian; not to be Cornfuzed with giving ex-boss Billy Bob Brazenheartz a double Byrd salute like; Oh Never Mind! This car totally caught me off guard - as I totally expected Thee Brackster’s 1999 winner, a car I’d never seen before to be painted black... Simply expecting it to be in ‘Ol SuperTex’s traditional black colours ‘O longtime Tobacco sponsor Copenhagen, right? Having tuned OUT of ‘Ye Greatest Spectale after that most memorable Quip ‘bout Eddie Who? At the grocery store after Cheever’s Rachel’s Potater Chip-mobile had left the cashier totally Clueless! I failed to watch the following year’s I500 telecast, as I guess I musta watched the end of the ’98 classic. Hence I was ultra surprised to see the Swede’s car in a “Lighter shade ‘O Grey;” Uhm? Pearlesant white? Whale all I know is it AIN’T black! Yet the more time flies by, the more I recall laughing myself SILLY over thee ‘DirtMann’s, nee Robby ‘Gordoun (Gordon) demise when running outta fuel with a precocious two-laps remaining, thus I must have watched the ’99 Indy up to that point, albeit I really don’t recall seeing thee ‘Brackster win - or receive the victor’s laurels nor drinking of milk... Perhaps ‘Somme-thun to do with my total disgust over AJ’s reverence towards ‘lil Napoleon (Tony George) and the Hulman’s?